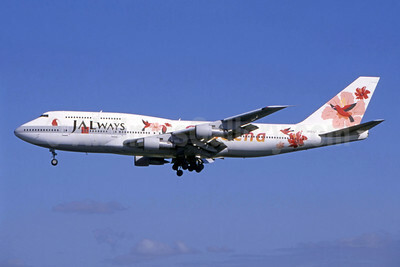 (formerly Japan Air Charter-JAZ) (JO/JAZ) (Tokyo-Haneda) 1999 - 2010 (merged into JAL-Japan Airlines). Photos. Framable Color Prints and Posters. Digital Sharp Images. Aviation Gifts. Slide Shows. 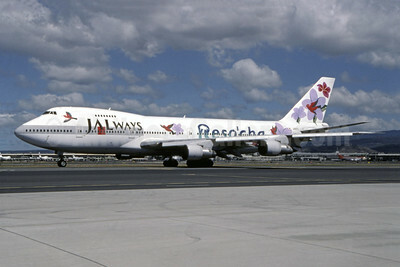 JALways Boeing 747-246B JA8111 (msn 20505) (Reso'cha) HNL (TMK Photography). Image: 945532. JALways Boeing 747-346 JA8187 (msn 24019) (Reso'cha) (Sam Chui). Image: 945533.